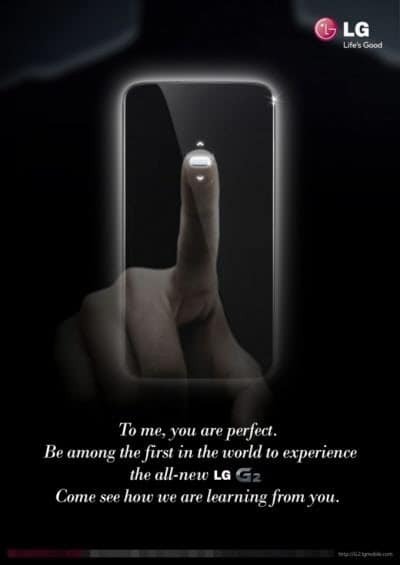 LG is no longer hiding the fact that it plans to unveil the LG Optimus G2, after it has recently made the LG Optimus G Pro widely available worldwide. According to an invite the company has started sending out to the media (and which Android Central has published), the LG Optimus G2 will be at the forefront of the Korean company’s August 7th New York event. The invite, which you can take a look at below, mentions the device and also shows something that has been part of rumors about the device for a while — the back-mounted volume controls. We are curious to see how that will work and how useful it will be in the everyday use of the smartphone. LG has also posted a video online, which, while it doesn’t tell us much about the device, insists on the idea of the company learning from its users when building it. The end of the video also shows the shadow of the device featuring the back volume controls. Take a loom at it below. LG announced a while ago that the successor of the Optimus G Pro will be powered by a Snapdragon 800 CPU, which runs at 2.3 GHz, and rumors say it will be coupled with 2 GB of RAM memory. Also part of the package is said to be a 5.2 inch display at Full HD resolution, along with a 13 megapixel camera. Since August 7th is only a couple of weeks away, we’ll know how much of this gets confirmed. I have to admit that those are some specs that will give most of the flagship devices on the market a pretty serious run for their money and, if LG distributes the device worldwide soon enough, it could have a hit on its hands. Are you looking forward to the new LG Android? Leave a comment and let us know.